Three Twins' services are offered at a very modest cost. Our services are classified into two basic categories performed either in a "PRE" or a "POST" launch status. Pre - launch services performed in yacht cradle. From the rub rail up, including complete soaping of the superstructure, complete rinse, and chamoising of all smooth surfaces, glass, and chrome. From the rub rail up, no buffing. All smooth fiberglass from the rub rail up is completely reconditioned by removing all oxidation and stains, then the surface is waxed/sealed to protect against the elements (wash-down included). Weekly and biweekly cleanings and seasonal rates available. Complete dusting, cleaning, polishing, and vacuuming (including head and galley). Customized interior cleaning / detailing ie; cabinets, refrigerator, shelves. Complete cleaning, sanding and resurfacing. Complete expert cleaning, bleaching, sanding, oiling, and sealing. 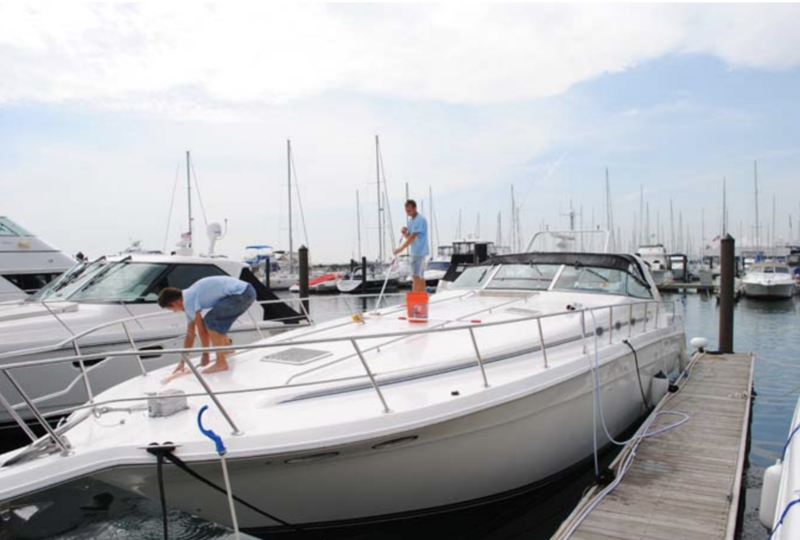 Canvas and vinyl cleaning, bilge and engine cleaning chrome, brass and fender, & safety-line cleaning and polishing. From the rub rail down, including complete soaping of the hull, complete rinsing, and drying. From the rub rail down, no buffing. All smooth fiberglass from rub rail down to waterline is completely reconditioned by removing all oxidation & stains then the surface is waxed/sealed to protect against the elements (wash down included). Diver Service -Outdrives, retrievals, inspections. 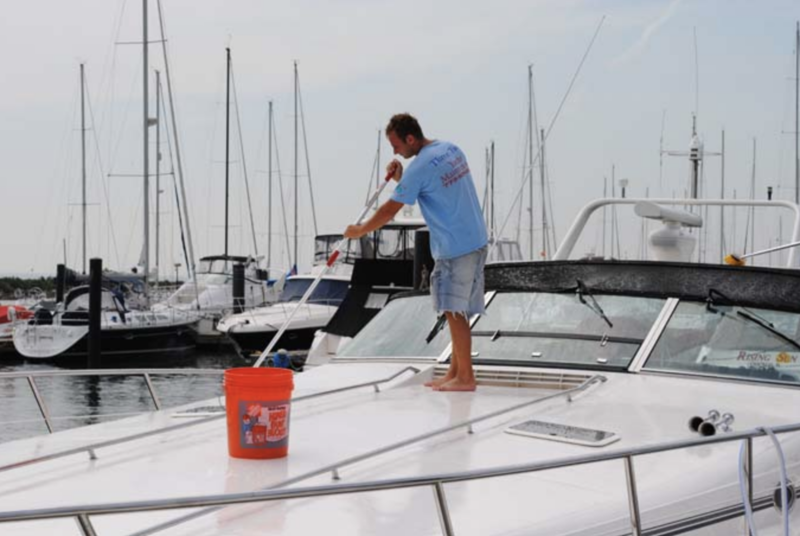 Three Twins is Chicago's largest and oldest yacht maintenance company (est. 1979) specializing in the care and cosmetic maintenance of fine yachts. Our services range from on-call service for those who are stopping in Chicago en route to another destination to weekly wash down service and on-going regular detailing, bow to stern. We meet our clients’ expectations because we believe in pristine clean from the keel to the top of the mast. Our service reflects the commitment to our work ~ and our standards are set high. Servicing Chicago’s beautiful harbors since 1979, we are known as the Marshall Field’s of maritime maintenance and we are proud of our long-standing history in this unique and delicate field. In addition to our regular services, Three Twins also has an extensive referral service for your boating needs. Three Twins cares about the environment ~ we support earth-friendly products. © 2018 Three Twins Inc. All Rights Reserved.